1. Are Pre or Post Treatment Chemicals and Options required? 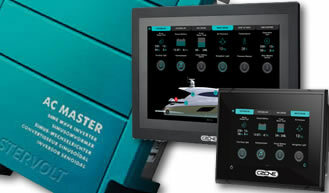 Pre or post treatment chemicals are NOT required for the seawater marine watermakers. Pre and post filtration options are available such as Oil Water Separators and Ultra Violet Sterilizers for use in dirty harbors and marinas. 2. What are the Maintenance or Service requirements? Maintenance and service are easy and inexpensive: pre-filter cleaning or changing, 500 hour oil changes, and 2000 hour seal maintenance. 3. What are the Maintenance costs? 4. What are the Filter Changing & Cleaning requirement? Pre-filter cleaning or changing frequency depends on the clarity of the feed water and is required when the system automatically shuts off at 6 psi inlet pressure. 5. How often is changing and cleaning an R.O. Membrane Element required? It is recommended that you clean your reverse osmosis membrane as needed or once every two years (on average). The reverse osmosis (R.O.) membranes last an average of five years and with proper operation and care can last up to 10 years. It is also highly recommended that owners get the Fresh Water Flush with their watermaker. By rinsing the watermaker with fresh water, salt water is displaced with fresh water throughout the R.O. system’s internal parts including the membrane. This process will prevent corrosion of the internal parts and reduces biological fouling of the membranes, therefore prolonging the life of the pre-filters and membranes. 6. What do I need to know about Storing, Winterizing (protection from freezing), and Pickling? In freezing temperatures, you need to protect your watermaker by adding food grade Propylene Glycol to the feed water. If you have the automatic Fresh Water Flush, you don’t need to pickle the system. It rinses the membranes with clean water every seven days. Without the automatic Fresh Water Flush, you should treat the system with a chemical bath when it is not going to be used for several months; this process will protect the membranes for up to one year. 7. Where can I purchase Spare Parts? 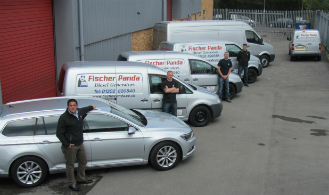 Here at Fischer Panda UK, we typically stock all the regular maintenance spares & consumables! You can obtain genuine Sea Recovery spare parts and consumables from any of our other 400 authorised dealers worldwide. Factory direct parts are shipped the same day ordered. 8. Are maintenance kits available? Yes. Planned Maintenance Kits are available from Fischer Panda UK and any of our 200+ dealers throughout the world to ensure continual trouble-free operation. 9. Are Prefilter Elements special & cleanable? Yes. You can clean the prefilter elements several times before you have to replace the filters. It is important that you use only prefilter elements supplied by HRO & Sea Recovery. The prefilter elements are engineered with special materials and a specific micron rating. String wound and fiber type filters are designed for the photographic industry and will last only 1/10th the time of the proper HRO/Sea Recovery filter element. Using string wound or fiber type filter elements will require ten times more maintenance and cost ten times more in element changes. Swimming pool filters and household under-the-sink filter elements are made from the wrong material; they are not of the proper micron rating and will fall apart in seawater which will cause fouling and damage to the reverse osmosis membrane elements.